Mac Os is a series of graphical operating systems, which was developed and marketed by Apple Inc. Apple released the original Macintosh on January 24, 1984. It is the early system software which was partially based on the Lisa OS and Xerox PARC Alto computer. It was originally named “System Software”, or simply “System”. In 1996 Apple rebranded it as Mac OS, due in part to its Macintosh clone program which ended a year later. The Mac OS is characterized by its monolithic system. It was noted as easy to use and featured cooperative multitasking for the most of its history. 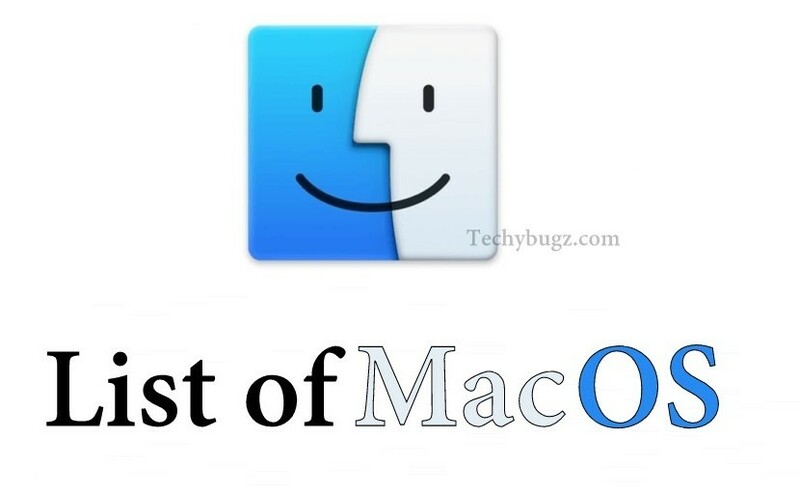 It is the primary operating system for Apple’s Mac family of computers. It is the second most widely used desktop OS after the Microsoft Windows. The desktop version of the Mac OS X 10.0, was released in March 2001, with its first update, 10.1 arrived a year later. 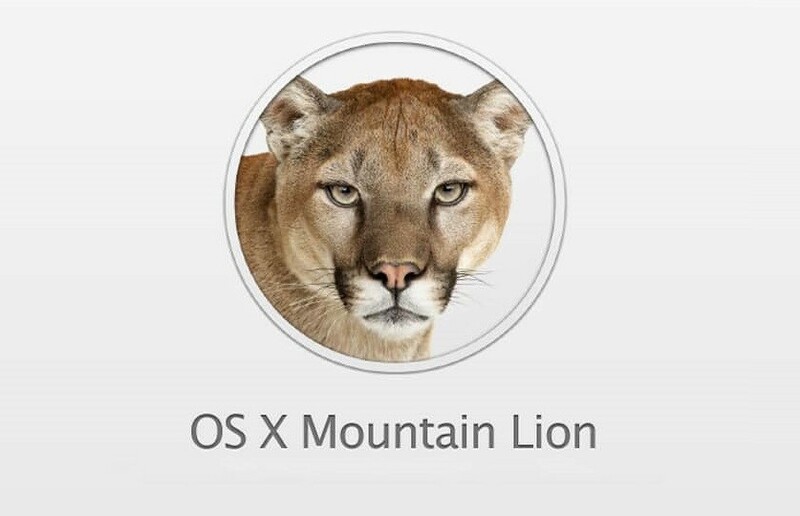 After this, the Apple started naming its releases after big cats, which lasted until OS X 10.8 Mountain Lion. From OS X 10.9 Mavericks, Apple named its releases by landmarks in California. Have you ever wonder what are the Mac Operating Systems in order? Here is the chart which has the list of Mac OS versions in order, with its Name and Release Date. On September 13, 2000, Apple has released the $29.95 “preview” version of the Mac OS X, which is internally codenamed Kodiak. The preview released to gain feedback from the users. It marked the first public availability of the Aqua interface, and Apple made any changes to the UI based on the customer feedback. 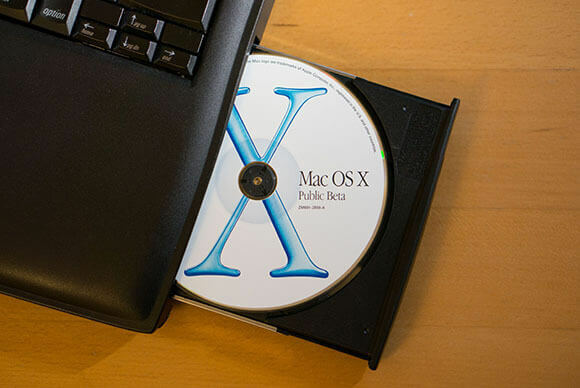 Mac OS X Public Beta was expired and ceased to function in spring 2001. It was the early, test version of the Mac OS X operating system. The Public Beta was the first time people could use the Aqua interface, and everything was new in the operating system: fonts, the Dock, even the menu bar. As it was a Public beta, it was not without any bugs and inconveniences. Apple used user feedback to improve the OS So that a vastly improved Golden master Version of Mac OS X was ready to be released by March 2001. 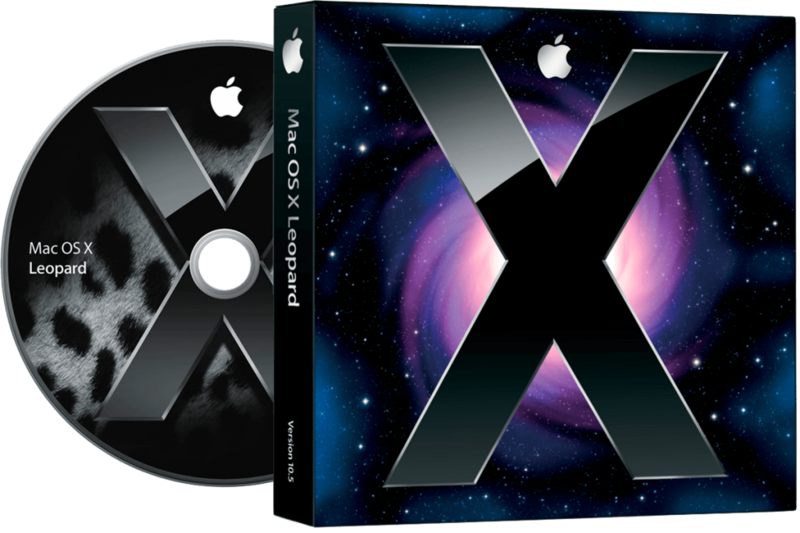 The version was superseded by Mac OS X 10.0.0, the first final release of Mac OS X.
Mac OS X version 10.0 is the first major release Mac OS X, which is the Apple’s desktop and the server operating system. Mac OS X 10.0 was released on March 24, 2001, for the price of US$129. It was the successor of the Mac OS X Public Beta and the predecessor of Mac OS X 10.1. It is the radical departure from the classic Mac OS and was Apple’s long-awaited answer for the next generation Macintosh operating system. It was introduced the brand new code base, which is completely separate from the Mac OS 9’s, as well as all the previous Apple’s Operating systems. It was introduced the new Darwin Unix-like core and completely new system of memory management. 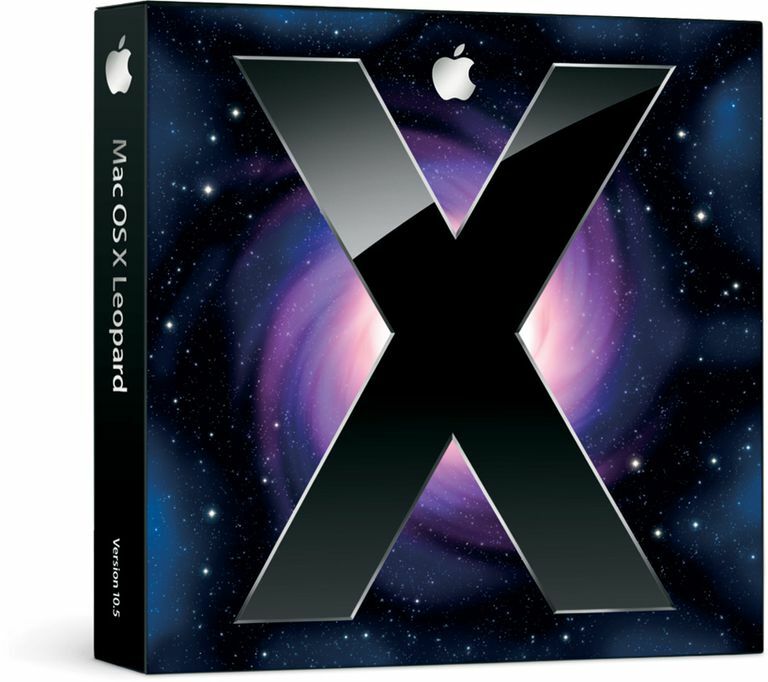 Cheetah proved to be the beginning to the Mac OS X line. The Mac OS X 10.0 had some performance issues and also some missing features, although it was praised for still being the good start to the operating system, in terms of its overall operating system ability and its completeness. The initial version was slow, incomplete and had very few applications available at that time of its launch, mostly from independent developers. Many critics have suggested that the operating system wasn’t ready for the mainstream adoption, they also recognized the importance of the initial launch as the base on which to improve. The System requirements at the time of the amount of RAM standard with the Macintosh computers were 64 MB, while the Mac OS X 10.0 requirements called for 128 MB of RAM. The new operating system required more hard drive space, which made the longer boot times. 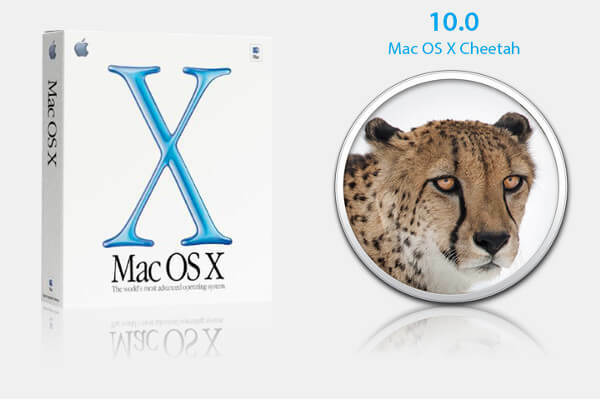 The major new features of the Mac OS X 10.0 “Cheetah” is given below. It has full Preemptive multitasking support, which is a long-awaited feature on the Mac. Supports PDF, which lets the users create PDFs from any application. Supports Sherlock a desktop and web search engine. It has the protected memory, So that if any application corrupts its memory, the memory of the other applications won’t be corrupted. Supports Dock, which is the new way of organizing the Mac OS X applications on the user interface, and change from the classic method of the Application launching from the previous Mac OS Systems. OSFMK7.3 has the Open Source Foundation March Kernel, which was the part of the XNU kernel. It has a new user interface Aqua UI. Mac OS X 10.1 (Puma) is the second major release of the Mac OS X, which was released on September 25, 2001, as the free update for Mac OS X 10.0 users. It was distributed to the Mac users on October 25, 2001, at the Apple Stores and also in other retail stores which carried the Apple products. The operating system 10.1 had a better receiving than the Mac OS X 10.0, although the critics claimed that the operating system has some bugs and lacks some features. 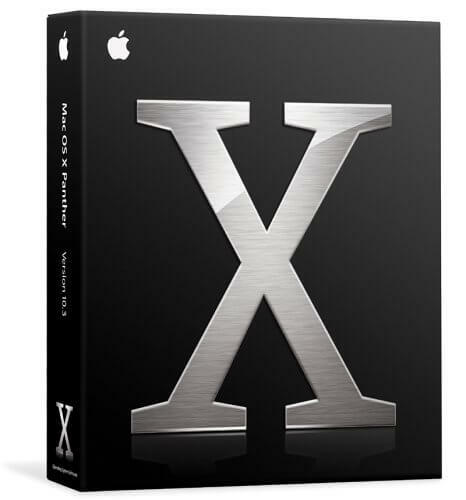 Some of the missing features in the Mac OS X 10.0 was added in the 10.1 version of Puma, which includes the DVD playback. Supported computers: Power Mac G3, Power Mac G4 Cube, Power Mac G4, eMac, iMac G3, PowerBook G4, PowerBook G3 (except for the original PowerBook G3), iBook. 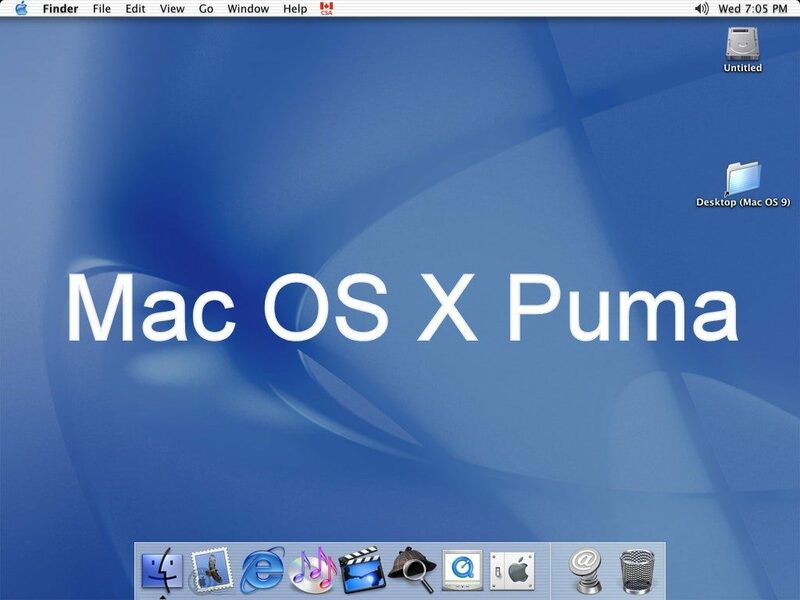 The major new features of the Mac OS X 10.1 “Puma” is given below. 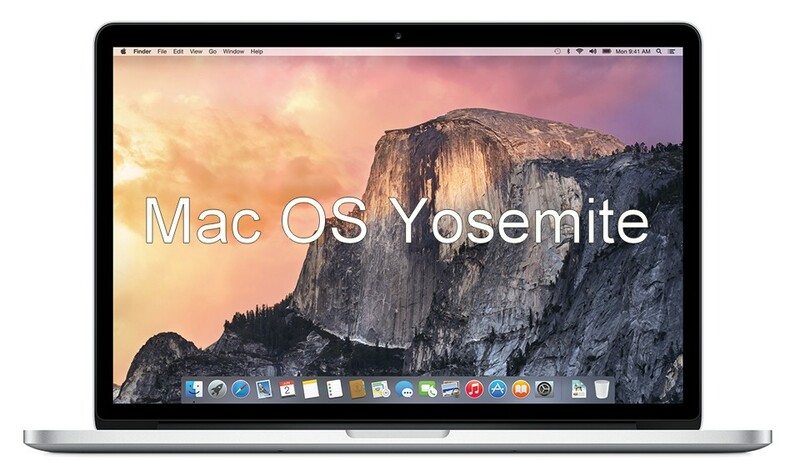 Mac OS X 10.1 has introduced the major performance enhancement throughout the system. It has better support in Finder and also in iTunes, Easier for CD and DVD burning. It has also improved file handling, in which the finder was enhanced to optionally hide the file extensions on a per-file basis. Image Capture allows acquiring images from the scanners and digital cameras. More printer support has been added, which supports around 200 printers out of the box. This is one of the major complaints of the version 10.0, which lacks the printer drivers. Faster 3D, The OpenGL drivers and handling were highly improved, which performs 20% faster. Improved AppleScript, It now allows the scripting access to many more system components including Printer Centre and Terminal. It allows the users to create full AppleScript applications in the simple graphical interface. Mac OS X 10.2 (Jaguar) is the third major release of the Mac OS X, which was released on August 23, 2002, for a single computer installation and also in a family pack, which allowed up to five installations on separate computers in a household. The operating system was well received by the Mac users. The large step forward in the areas of stability, general speed enhancements and the compatibility to other flavours of the Unix and the lineup of both the graphical and terminal applications available. Some of the users claimed that there was a significant speed issue in the user interface. It is the first release that Apple uses its code name as part of the branding. Mac OS X 10.2 has brought great raw performance improvements with a sleeker look and many powerful user-interface enhancements. It also includes the Quartz Extreme for compositing graphics directly on the ATI Radeon or Nvidia GeForce2 MX AGP based video card with minimum 16MB of VRAM. It also included the new Address Book, and also the instant messaging client named iChat. Supported computers: Mac OS X Jaguar requires the PowerPC G3 or G4 CPU and Special builds were released for the first PowerPC G5 systems which were released by Apple. 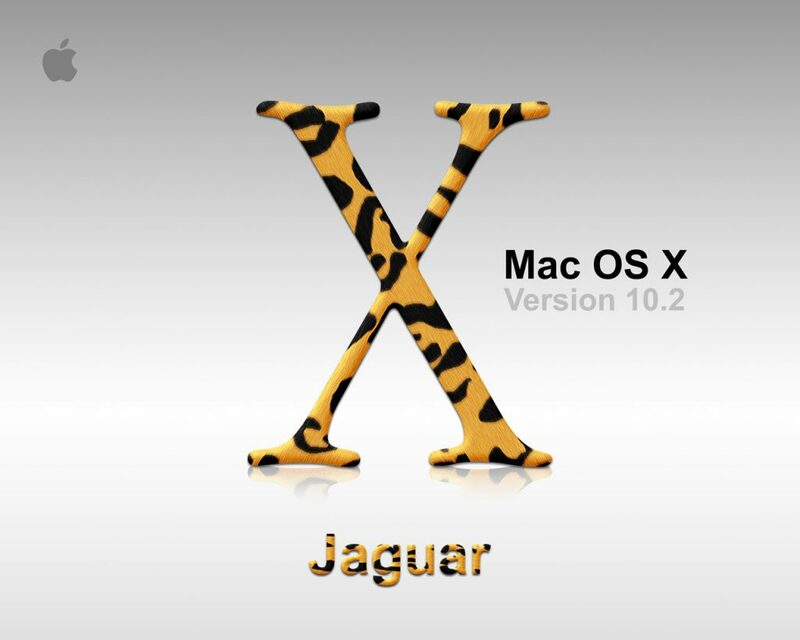 The major new features of the Mac OS X 10.2 “Jaguar” is given below. Added support for MPEG-4 support in the QuickTime. The Mac OS X 10.2 has included the Address Book and the Inkwell for handwriting recognition. It also included the first release fo the Apple’s Zeroconf implementation, Rendezvous, which later referred as Bonjour, which enables the devices over the network to discover each other and display the available services such as file sharing, shared printers and scanners. It added journaling to the HFS Plus, the native Mac file system, to add the increased reliability and data recovery features. Quartz Extreme has been added to composite graphics directly on the video card, without the user of the software to composite windows. It allows the task of drawing 3D surface of the windows to the video card, rather than to the CPU, to increase interface responsiveness and performance. Added Universal Access enables the Macintosh to be usable by the disabled computer users. The updated Sherlock 3 provides the improved search features to the Finder. Jaguar also added the Common Unix Printing System, which is a modular printing system for the Unix-like operating system and has the improved support for the Microsoft Windows networks using the open-source Samba as the server for SMB remote file access protocol. 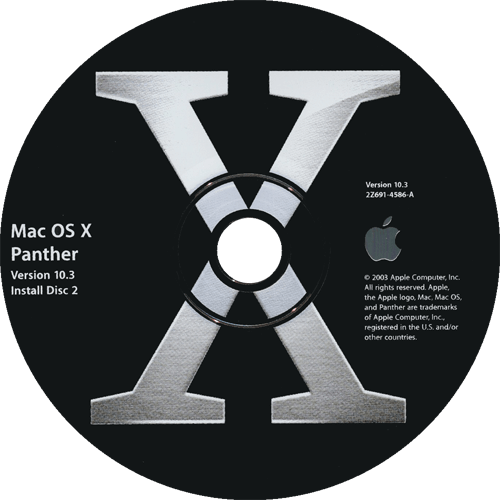 Mac OS X 10.3 Panther was released on October 24, 2003. It is the fourth major release of the Mac OS X. It provides the much-improved performance. The user interface of the OS has the extensive update yet to the user interface. It has included many new features such as updated Finder, It has the Fast user switching, FileVault, Safari, iChat AV added video conferencing features to iChat, improved Portable Document Format (PDF) rendering. Support for some early G3 computers such as “beige” Power Macs and “WallStreet”. Since a New World ROM was required for Mac OS X Panther, some older computers including beige Power Mac G3s and ‘Wall Street’ PowerBook G3s were unable to run Panther by default. you can upgrade from Jaguar by overriding some checks using the third party software. 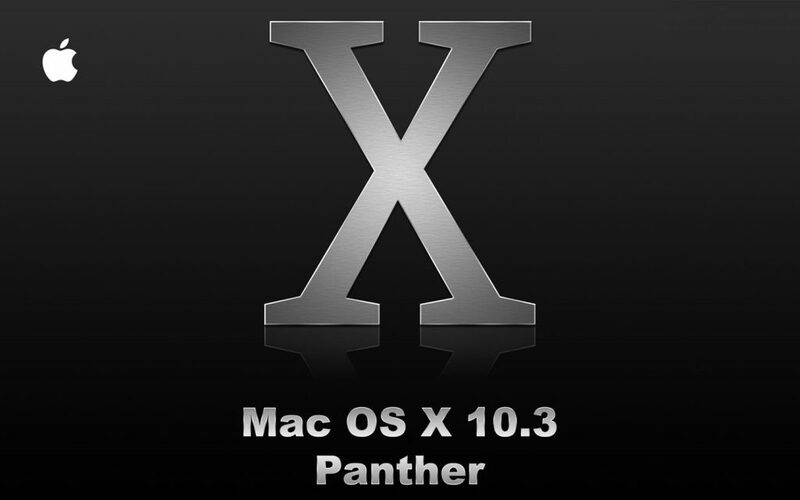 The major new features of the Mac OS X 10.3 “Panther” is given below. Apple has advertised that the Mac OS X Panther had more than 150 new features which include Finder, which is updated with the brushed metal interface, and a new live search engine, Secure deletion, customizable sidebar, It supports the File labels and Zip support. The built-in finder icon was also changed. Fast User Switching enables you to be remaining logged in even while another user logs in. Increased speed of PDF rendering. The quick time now supports the Pixel high definition video codec. FileVault is the application, which lets you do on the fly encryption and decryption of the home folder. The new version of the iChat is now with the built-in Audio and video conferencing. The new browser Safari has added to replace the Internet Explorer for Mac when the contract between Apple and Microsoft ended, although the Internet Explorer for Mac was still available. It is made as the default browser in Panther. 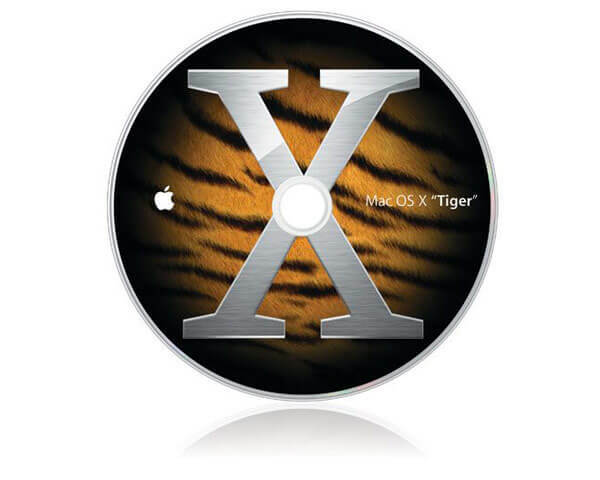 Mac OS X 10.4 Tiger is the fifth major release of the Mac OS X. Tiger was released to the public on April 29, 2005, for US$ 129.5 as the successor to the Mac OS X 10.3 Panther. Some new features are included in this version, which includes a fast searching system called Spotlight, new version of Safari web browser, Dashboard, a new ‘Unified’ theme, and the improved support for 64-bit addressing on Power Mac G5s. 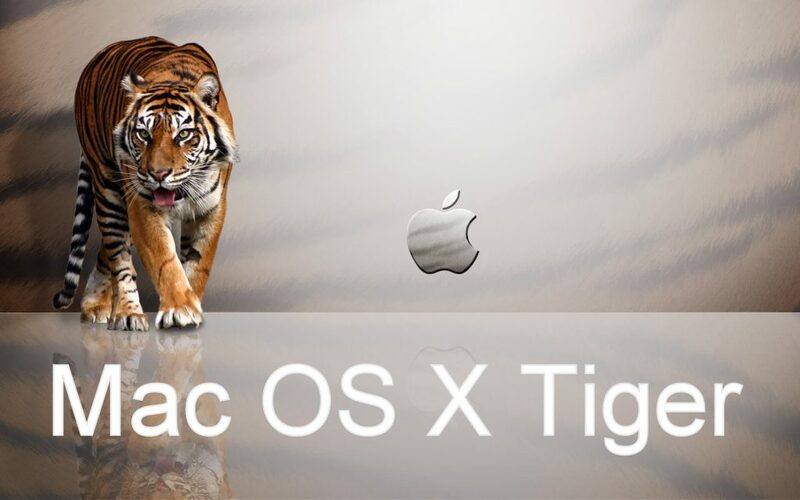 Tiger was included with all new Macs and it was also available as an upgrade for the existing Mac OS X users. Apple has delivered 2 million copies of Mac OS X 10.4 Tiger, representing 16% of all the Mac OS X users. Apple also claimed that the Tiger was the most successful Apple OS release in the company’s history. Steve jobs, has announced that out of 22 million Mac OS X users, more than 67% Mac OS X users, more than 67% were using the Mac OS X 10.4 Tiger. 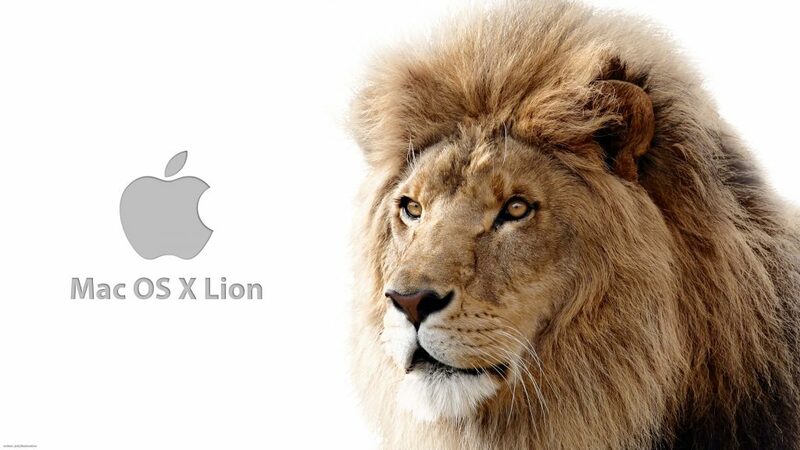 Apple has announced the transition of Intel x86 processors during the Mac OS X 10.4 Tiger’s lifetime, It is the first Apple OS to work on Apple-Intel architecture machines. 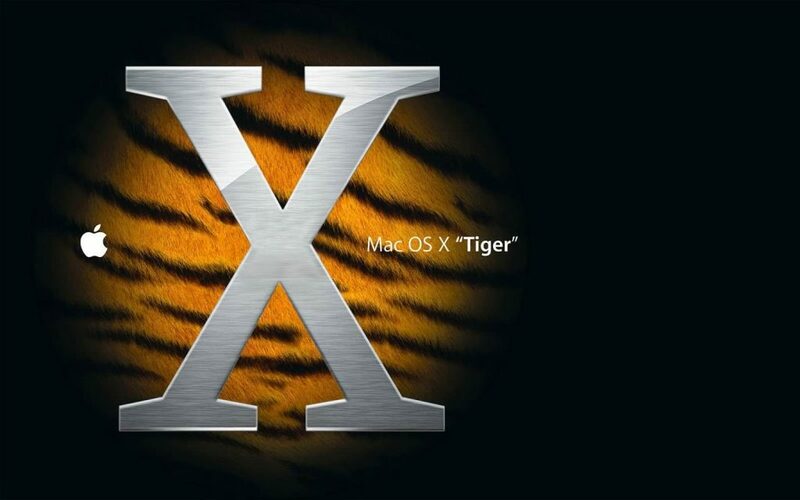 Mac OS X 10.4 Tiger has removed the support for the older New World ROM Macs including the original iMacs and iBooks which were supported in the Mac OS Panther. You can even upgrade to Tiger by overriding some checks using the third party software. The major new features of the Mac OS X 10.4 “Tiger” is given below. The new iChat AV 3.0 in the Mac OS X 10.4 Tiger supports up to four participants in the video conference and ten members in the audio conference. It also supports communication using the XMPP protocol. An XMPP server called the iChat Server is included in this version. The new Safari 2.0 browser in the Tiger has the built-in reader for RSS and Atom web syndication which can be accessed easily from the RSS button in the address bar of the web browser window. Improved Spotlight, which is the full-text and metadata search engine, which can search everything on one’s mac including Microsoft Word documents, Address Book Contact cards, and iCal Calendars. The feature is also used to build the concept of ‘smart folders’ into the Finder. It also indexes files as they are saved. The new version of the Mail app included the email client option. It also has the updated interface with the “Smart Mailboxes”, which use the Spotlight search system, and other features. It also supports to link the applications together to form the complex and automated workflows, which can be done with the Scripting tool. It also comes with the complete library of actions for various applications, which can be used together to make the Workflow. The new version of Apple’s multimedia software QuickTime 7 has been included for the new H.264/AVC codec, which provides the better quality and scalability than the other video codecs. It has the full built-in Dictionary/Thesaurus based on the New Oxford American Dictionary, Second Edition, which is accessible through the application, Dashboard Widget, Dictionary, and as the system-wide command. 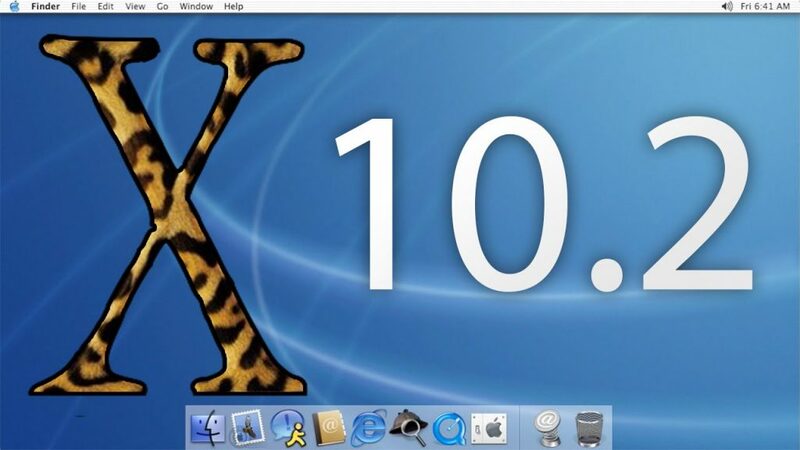 Mac OS X 10.5 Leopard is the Sixth major release of the Mac OS X. 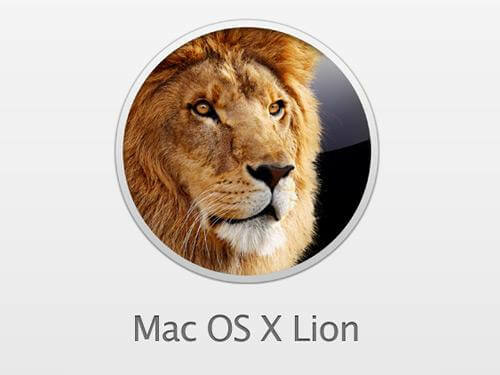 It was released on October 26, 2007, as the successor of Mac OS X 10.4 Tiger. Leopard is available in two editions, a desktop version which is suitable for the personal computers and the server version. It is the final version of the Mac OS X to support PowerPC architecture as the Snow Leopard functions solely on the Intel-based Macs. Apple states that the leopard contains more than 300 changes and improvements over its predecessors. It introduces the significantly revised desktop with the redesigned Dock, Stacks and the semitransparent menu bar. It supports for writing the 64-bit graphical user interface applications, and the automated backup utility called Time Machine, support for the spotlight searches across different machines, and has included the Front Row and Photo Booth. Leopard Supports both the Power PC and the Intel x86 based Macintosh Computers. Some of the new features include the updated Finder, Spaces, Time Machine, Boot Camp, and provides the full support for the 64-bit applications. Some new features are added in iChat and Mail. Various new security features have been included. It has dropped support for the Classic Environment and the classic applications. Hard drive capacity: Minimum 9 GB of disk space available. 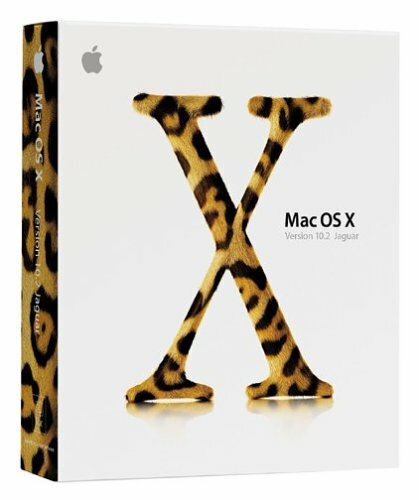 The major new features of the Mac OS X 10.5 “Leopard” is given below. 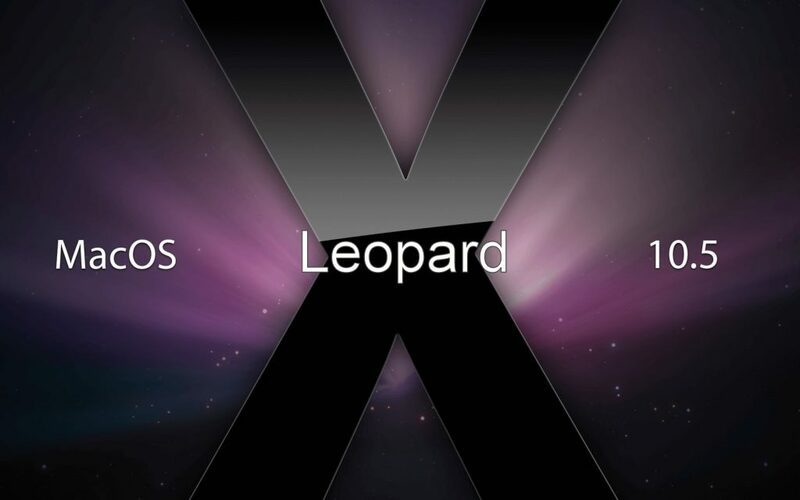 Apple states that there are more than 300 new features added in the Leopard. It has the new and enhanced Automator, with simple starting points to easily begin a workflow. It can also quickly create or edit the workflows with new interface enhancements. It can create more useful Automator workflows with the actions for RSS feeds, iSight camera video snapshots, PDF manipulation, and many more. Back to My Mac is the feature for MobileMe users this allows them to access files on their home computer while away from the home through the internet. The Boot Camp, software assistant allows the installation of other operating systems, including Windows XP or Windows Vista, on the separate partition on the Intel-based Macs. Dashboard enhancements have been made, which includes Web Clip, which enables the user to turn the Web page on Safari into the live Dashboard Widget, and Dashcode to help the developers to code widgets. The Dictionary can now search the dictionary of Apple terminology and Wikipedia as well. It also included the Japanese language dictionary. It has the redesigned Finder, with the features, which is similar to see in the iTunes 7, including the Cover Flow and the Source list-like sidebar. iChat has some improved features including the multiple logins, animated icons, invisibility, and tabbed chats. Mail enhancements are made which includes the addition of RSS feeds, Notes, Stationery, and To-dos use the system-wide service which is available to all applications. Photo Booth enhancements are included such as real-time filters, video recording, and blue/green-screen technology. 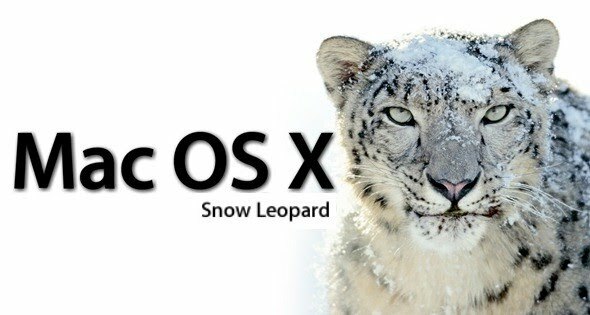 Mac OS X 10.6 Snow Leopard is the Seventh major release of the Mac OS X. It was released on August 28, 2009. It doesn’t implement the huge changes to its appearance, but it has provided the changes, which increases its performance, stability of the operating system, and efficiency. The most noticeable changes that included is the disk space that the operating system frees up after the clean installation when compared to its predecessor. 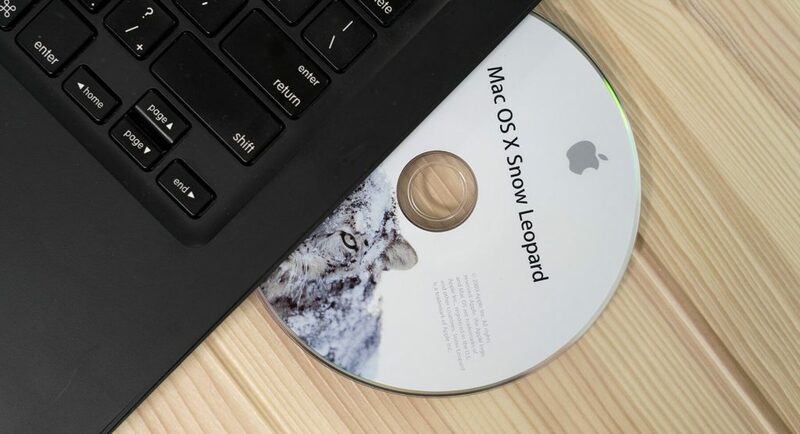 Snow Leopard has the more responsive Finder rewritten in Cocoa, more reliable, faster Time Machine Backups, and user-friendly disk ejects, the more powerful version of the Preview application, as well as the faster Safari browser. 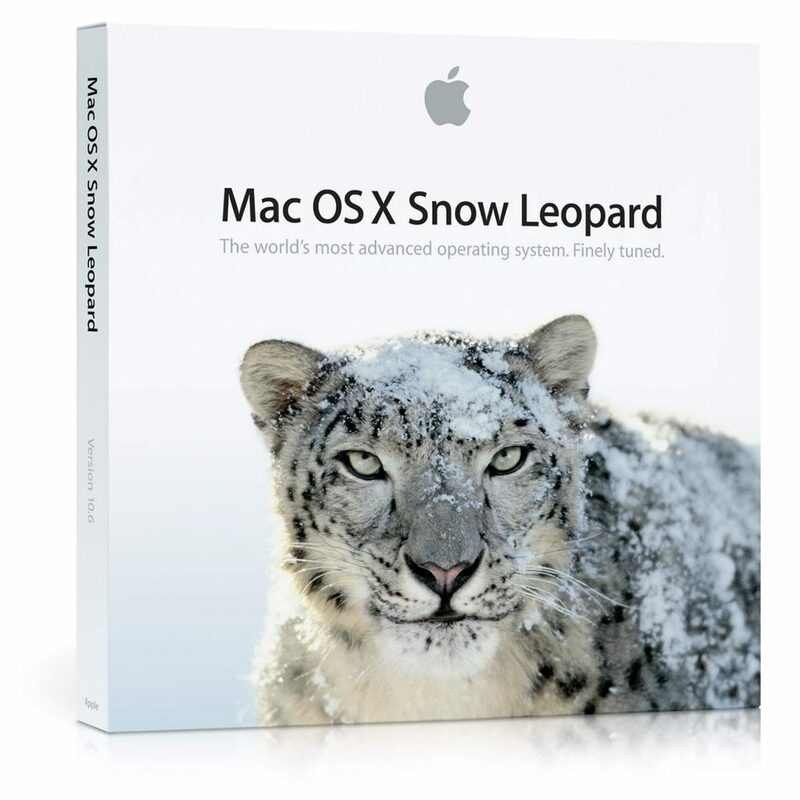 The Snow Leopard only supports the Intel machines. It also featured new 64-bit technology which is capable of supporting the greater amounts of RAM, It has the improved support for the Multi-core processors through the Grand Central Dispatch and the Advanced GPU performance with OpenCL. The Snow Leopard 10.6.6 update introduced the support for Mac App Store, which is the Apple’s digital distribution platform for the MacOS apps. This version has the overall reduction in memory footprint. It also includes some new end-user features. Since the release of this version, Apple was focussed on the line of Intel-based products. Supported computers: Mac computer with an Intel processor (IA-32). “Yonah” processors such as Core Solo and Core Duo can run only 32-bit applications; later x86-64 architecture processors such as Core 2 Duo, Core i5 and i7 are also able to run 64-bit applications. The major new features of the Mac OS X 10.6 “Snow Leopard” is given below. Boot Camp now allows the Windows partitions to read and copy files from HFS+ partitions. It also adds the support for advanced Cinema Displays and the new command-line version of the Startup Disk Control Panel. Improved iChat video call quality with the higher resolution video chats in the iChat Theater and lowered the upload bandwidth requirements. Microsoft Exchange support is integrated into the Address Book, Mail, and iCal applications. Included Mac App Store, which is the application store built in the image of the iOS App Store. Released on version 10.6.6. Added Full multi-touch trackpad support to the notebooks. The users can operate with the four finger gestures. QuickTime X, the next version of the QuickTime player and the multimedia framework, which now support the 64-bit Cocoa app. 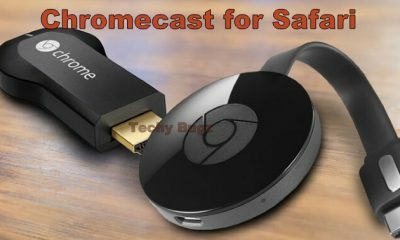 It also supports the HTTP live streaming and takes the advantage of ColorSync to provide the high-quality colour reproduction. Safari 4 includes Top Sites, VoiceOVer, Cover Flow, expanded standards support, and built-in crash resistance, which prevents the browser crashes caused by plug-ins by running them in the separate processors. Time Machine’s connection has been established and the backups are now much faster. Mac OS X 10.7 Snow Leopard is the Eighth major release of the Mac OS X. It was released on July 20, 2011. It brought the developments made on the Apple’s iOS, including the easily navigable display of the installed applications called the Launchpad, and also included the greater use of the multi-touch gestures to the Mac. This version removed the Rosetta, making it incompatible with the PowerPC applications. The changes made to the GUI includes the auto-hiding scrollbars which can only appear when they are being used. Apple has also made some changes to the applications, which they resume in the state as they were left when they closed, same as iOS. Auto-saving of Documents by default has been added. 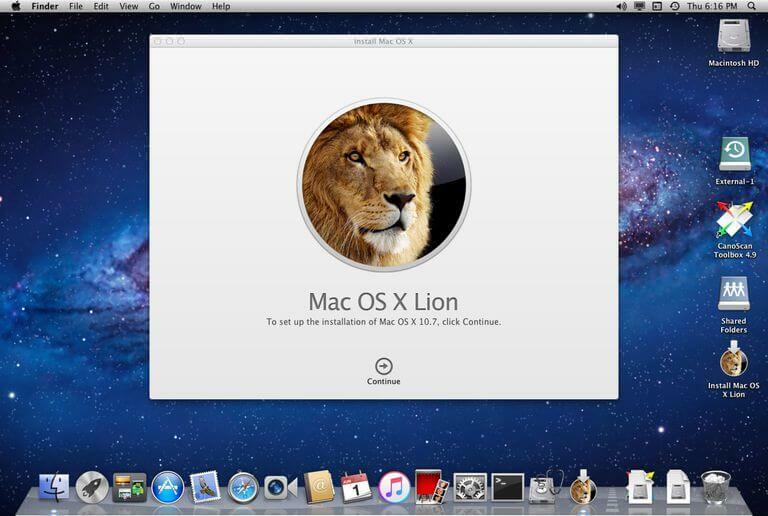 The major new features of the Mac OS X 10.7 “Lion” is given below. Apple Push Notification Service, sends you the over air alerts, including the news updates or social networking status changes, using the Apple’s Push Notification service to the application which support APNS, which allows the Mac OS X Lion and the iOS clients to receive the push changes to items such as calendar, mail and contacts from the configured OS X Lion Server. In the iOS documents, the applications are written to use the AutoSave which are saved automatically So that the users don’t have to worry about manually managing their documents. The Auto Save feature mainly alters the traditional workflow patterns and it is the controversial addition to the system. iChat now has the support to log into the Yahoo! Messenger. Users can make the audio and video chat with the other iChat users using the Yahoo! accounts. In this version Arabic, Turkish, Czech, and Hungarian are added as the full system languages, So that there are twenty-two languages available in the Mac OS X. Added High-quality multilingual speech voices, So that the users can download new high-quality voices in more than forty languages and dialects. Support for Multi-User Screen Sharing, the built-in Screen Sharing feature allows the users to remotely log into a separate user account from one which is currently logged in. The second user can log into the same machine remotely, by seeing their own desktop and the user environment. Added support for Multi-touch gestures, which is similar to iOS. The additional gestures can be performed using the multi-touch input device, such as Magic Mouse, Magic Trackpad. it allows the user to scroll, swipe to different pages, and enter the Mission Control. Added Application launcher called Launchpad, which displays an iOS-like icon grid of the installed applications. It features the ability to make the multiple pages and group applications in a folder. It functions similar to the iOS. Added new Emoji fonts, which are commonly used in the chat to express the ideograms. Mail 5, which uses the iPad like user interface, and has the full-screen optimized view, use the chronological “conversations” to organize messages, and supports the Exchange 2010. Added features to QuickTime, from QuickTime Pro. The New features include Copy/Paste, Crop Video, Insert Clip, Resize, Rotate Video, Trim and many Export options. 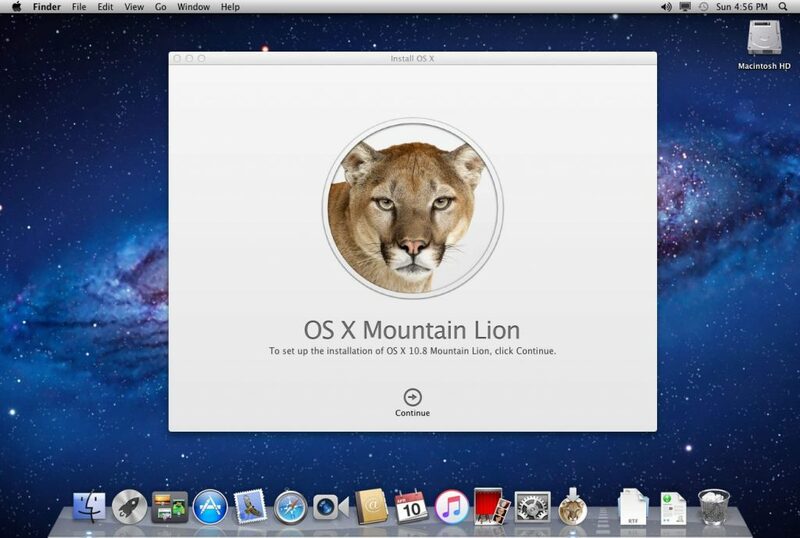 Mac OS X 10.8 Mountain Lion is the Ninth major release of the Mac OS X. It was released on July 25, 2012. This version includes some features seen in iOS 5, such as Game Center, iMessage in the New Messages messaging application, and Reminders as the to-do list ap separate from the iCal. Mountain Lion also includes support for storing the iWork documents in the iCloud. It also included the Notification Center, which is much similar to the iOS 5 and its higher versions. Application pop-ups are now displayed on the corner of the screen, and the centre is pulled from the right side of the screen. It also includes support for Baidu as the option for Safari search engine. Starting with the Mountain Lion, the Apple software updates are included in the App Store. It also replaced the updating mechanism of Apple Software Update utility. It can manage and synchronise contents between multiple Apple devices and to make the operating system more familiar. Hard Drive Space: 8 GB available storage. The major new features of the Mac OS X 10.8 “Mountain Lion” is given below. Added Notification Center, which provides the overview of alerts from the applications and displays notifications until the user completes the associated action. rather than requiring instant resolution. In this the user can also choose the apps to appear in the Notification Center, and how they are handled. It separate from Mail in its own application, It is separate from Mail in its own application, with the support for desktop notes added. The Created notes are synced through all the user’s Apple devices through the iCloud service. Apple’s Instant Message software application is added in the Mountain Lion. 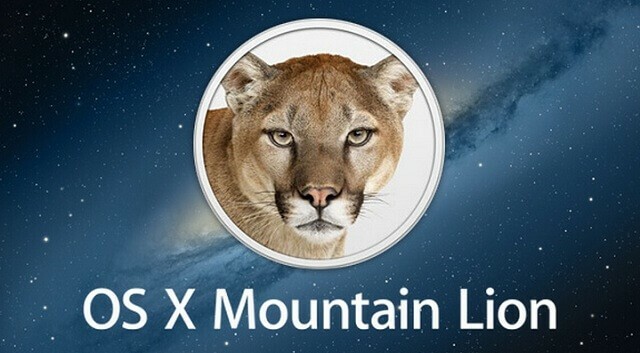 It was announced on February 16, 2012, as a part of OS X Mountain Lion developer preview. The Messages replaced the iChat as the default OS X instant-messaging client. Game Center application from iOS was added in the OS X Mountain Lion. It is the online multiplayer social-gaming network and enables the users to invite friends to play the game, start the multiplayer game through the matchmaking, track their achievements, and compare the high scores on the leaderboard. AirPlay Mirroring is added, that allows the wireless mirroring of Mac’s screen to the Apple TV. System-wide integration fo the AirPlay audio transmission is added. New features for Chinese users, including the support for Baidu as the option for Safari search engine, contacts and Calendar, Youku, Tudou and Sina Weibo integrated into the share Sheets. MobileMe was replaced entirely by the iCloud, mainly in the System preferences options. Software Update Service has been unified in the Mac App Store. Past installed updates were removed. 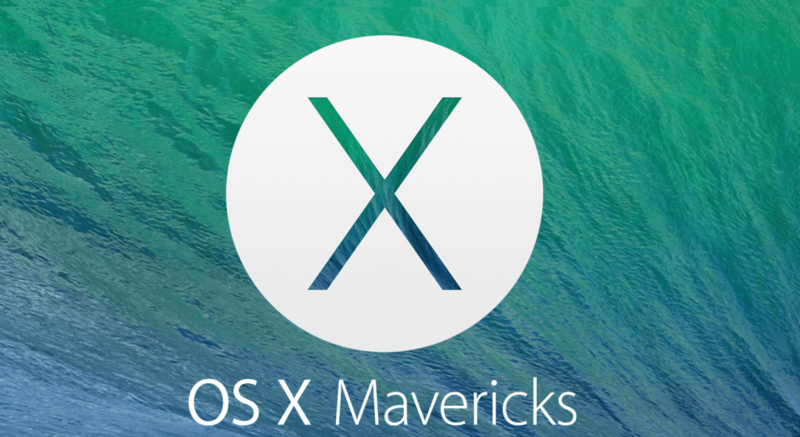 Mac OS X 10.9 Mavericks is the Tenth major release of the Mac OS X. It was released on October 22, 2013. It was the free upgrade to all the users who are running the Snow Leopard or later with the 64-bit Intel processor. It also includes the addition of previously iOS-only Maps and iBooks applications. It also includes improvements to the Notification Center, and enhancements to various applications, and many under-the-hood improvements. It also Indicates the battery life, Finder and other improvements for the power users. It also included more of the iOS apps to the Mac. Apple also changed the naming of its versions after surfing the location in Northern California, it is the first series in OS X, which named for places in Apple’s home state. Its predecessors are named based on the Big Cats. 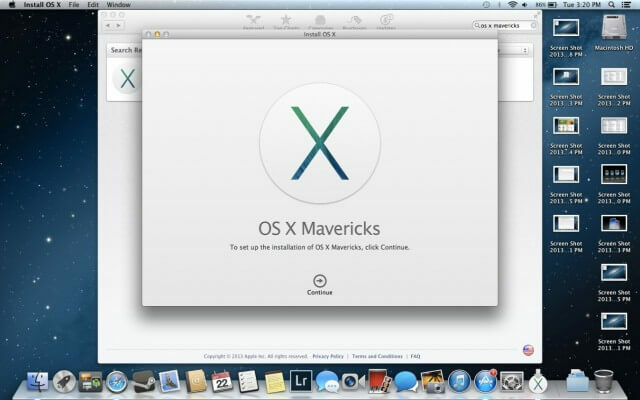 The major new features of the Mac OS X 10.9 “Mavericks” is given below. The menubar and the Dock are available on each display. Additionally with the AirPlay compatible displays such as Apple TV which can be used as the external display. Mission Control has also been updated to organize and switch between the Desktop workspaces, separately between multiple displays. Included Compressed Memory, which is the virtual memory compression system, which automatically compresses the data from inactive applications, when approaching the maximum memory capacity. Support added for OpenGL 4.1 Core Profile and the OpenCL 1.2. Server Message Block version 2 (SMB2), which is now the default protocol for sharing files instead of AFP. It also increases the performance and the cross-platform compatibility. Included App Nap feature, which sleeps the applications, which are not currently visible. 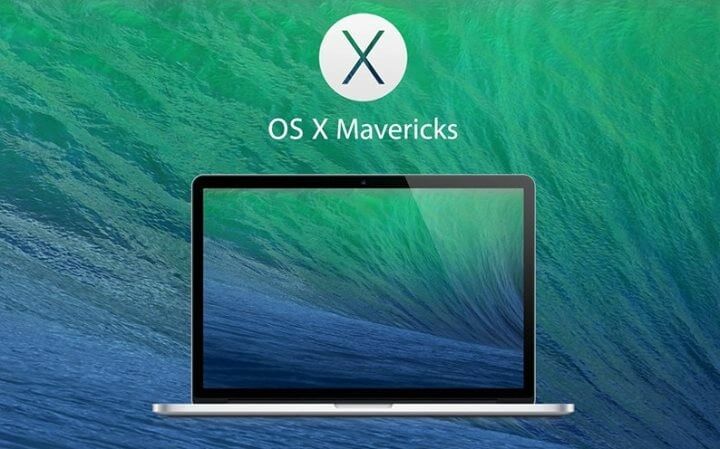 Any application running on the Mavericks can be eligible for this feature by default. Introduced Timer coalescing, which enhances the energy efficiency by reducing the CPU usage by up to 72 per cent. It enables the MacBooks to run for longer periods of time and the desktop Mac can run cooler. Added iCloud Keychain, which stores the user’s usernames, passwords and Wi-Fi passwords to allows the user to fill the information into the forms when needed. Apple also included the Native LinkedIn sharing integration. 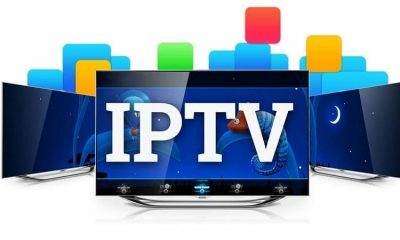 IPoTB (Internet Protocol over Thunderbolt Bridge) Thunderbolt networking is supported in this version. This enables the user to transfer a large amount of data quickly between two Macs. The “traffic light” minimize, maximize and close window buttons has now become brighter. Now you can reply directly to the notifications in the Notification Center. It enables the websites to send notifications, It also displays the summary of the missed notifications before it is unlocked. Some of the systems alert such as removal of drives without ejection it, low battery alert and the failure of Time Machine backup has been moved to the Notification Center. 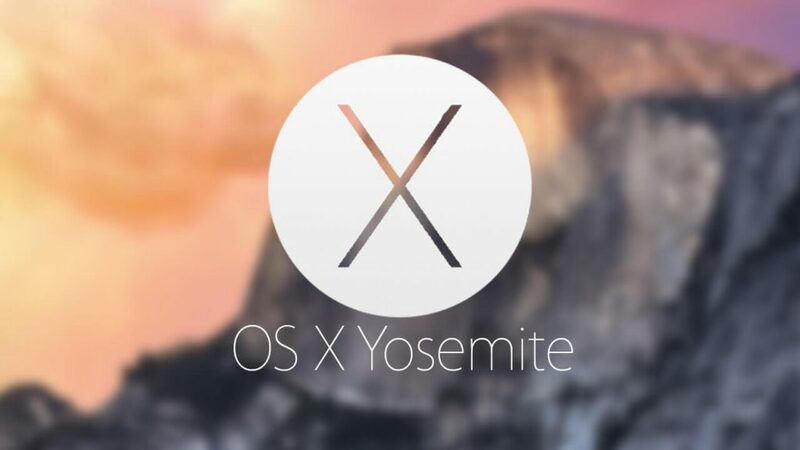 Mac OS X 10.10 Yosemite is the Eleventh major release of the Mac OS X. It was released on October 16, 2014. Yosemite is the free update through the Mac App Store worldwide. It has some major changes with the user interface, which replaced the skeuomorphism with the flat graphic design and the blurred translucency effects, which was introduced in iOS 7. It also has the tighter integration with the paired OS X and iOS devices, the user can handle the phone calls or the text messages on the Mac or their iPhone and even edit the same pages documents on either Mac or their iPad. 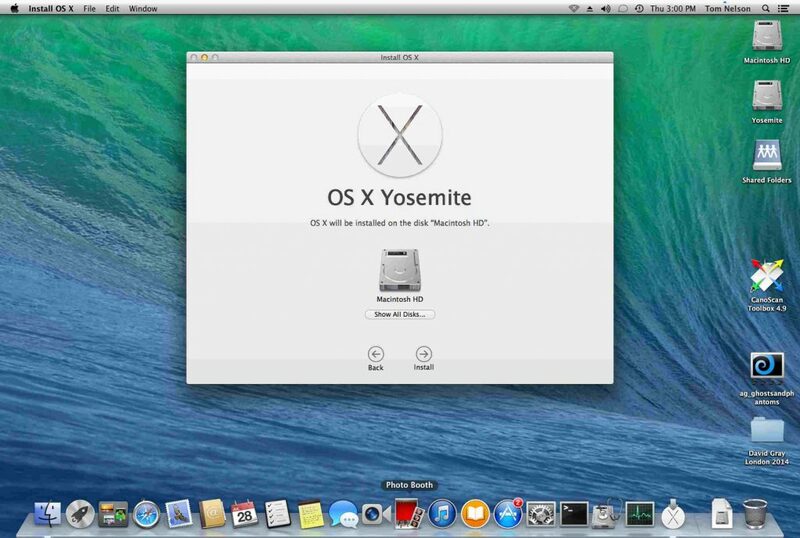 The major new features of the Mac OS X 10.10 “Yosemite” is given below. Yosemite has a huge change in its user interface. Its graphics replaced the skeuomorphism with the flat graphic design and blurred translucency effects, which was introduced with the iOS 7. Some of the icons have been changed to correspond with those of iOS 7 and 8. It also maintains the OS X desktop metaphor. Some other design changes include the new icons, light and dark colour schemes and the replacement of Lucida Grande with the Helvetica Neue as the default system typeface. The Notification Center of the Yosemite features the new “Today” view, which is similar to that in the iOS. It can view the display information and updates from different sources, along with the widgets. The widgets in the Today view are similar to the one in iOS 8. The photos in this version replace the iPhoto and Aperture. It uses the iCloud Photo Library to upload, all the user photos across their devices. Apple added some new features on the theme of continuity, increasing its integration with the other Apple services and platforms including the iOS and iCloud. The Handoff functionality of this version lets the operating system to integrate with the iOS 8 devices over Bluetooth LE and the Wi-Fi users can also place and answer the phone calls using their iPhone as the conduit, send and receive messages, load items, activate personal hotspots. The spotlight is the most prominent part of the operating system, it now displays the search box in the centre of the screen and also includes the results from online sources, such as Maps, Bing, and Wikipedia. Stock applications including safari and mail have been updated. Apple has added many security features to Safari, including the custom history clearing options, which enables the users to clear history, cookies and other data from the previous hour, day and even for two days. It also included the DuckDuckGo to search offerings, It is the non-tracking search engine, which doesn’t store the user’s data. Safari enables you to remotely close the tabs from the iOS device. It also supports the browsing in private mode. The green ‘zoom’ button on the windows now has the different function in the applications, which support the full-screen mode. 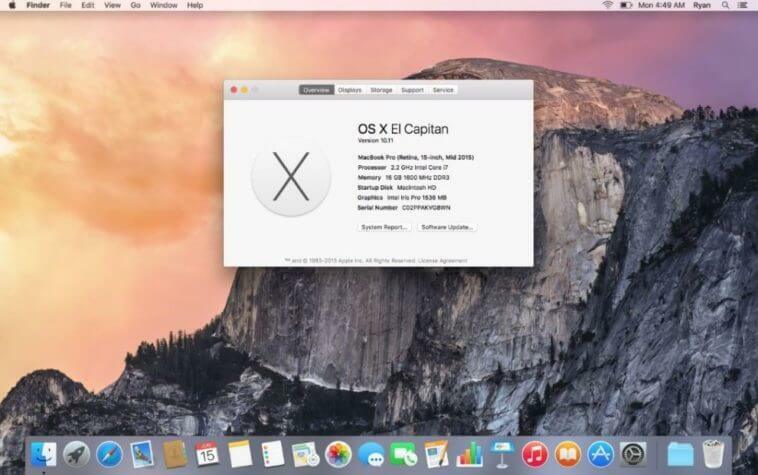 Mac OS X 10.11 EL Capitan is the Twelfth major release of the Mac OS X. It was released on September 30, 2015. Apple stated that they made refinements to the Mac experience and has the improvements to the system performance. rather than the new features. The refinements include the public transport, which built into the Maps application. It also has the GUI improvements to Notes application, adopting the San Francisco as the system font for the clearer legibility, and the introduction of the System Integrity Protection. The Metal API was first introduced in iOS 8, was also included in this operating system of all Macs since 2012. Of these computers, the following models were available with 1GB RAM as the standard option on the base model when they were shipped originally. It can only run OS X El Capitan if they have at least 2GB of RAM. The upgrade differs in size depending upon which Apple Mac computer it is being installed on, in most scenarios it will require about 6 GB of disk space. 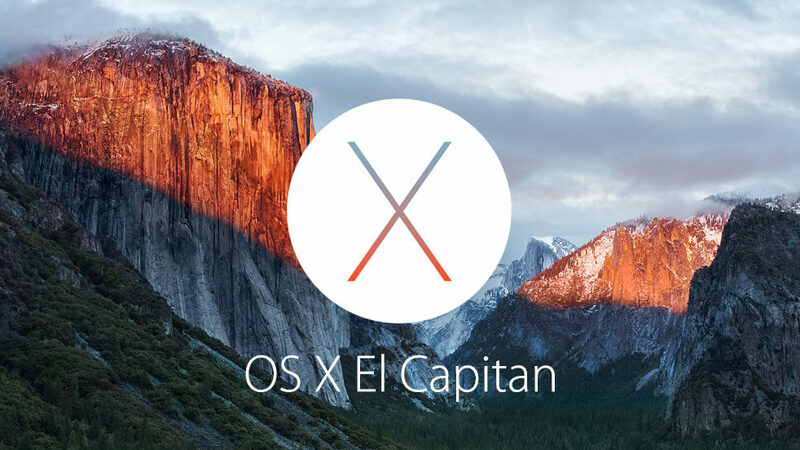 The major new features of the Mac OS X 10.11 “El Capitan” is given below. OS X EI Capitan has the multi-touch gestures to the applications such as Messages, Mails, which allows the user to delete or mark the emails or conversations by swiping the finger on the multi-touch device, such as trackpad. It also analyzes the contents of individual emails in Mail and the gathered information in the other application, such as Calendar. El Capitan has the new window management features, such as creating the full-screen split view by pressing the green button on the left upper corner of the window or you can use the shortcut Control+Cmd+F, then snapping any of the supported other windows to the full-screen application. The Apple Maps in this version shows the public transit information similar to the Maps in iOS 9. But it was limited to a handful of cities when the launch, Berlin, Baltimore, Los Angeles, Mexico City, San Francisco, Shanghai, New York City, Paris, Chicago, London Philadelphia, Toronto and Washington D.C. The Notes application in this version is identical to the Notes in iOS 9. Both apps have the more powerful text-processing capabilities, such as to-do lists. Photos, Videos, Inline Webpage previews, map locations, digital sketches, and other documents and media types. This version is improved with more contextual information such as stocks, weather, news, and sports scores. It is also can process queries in natural language. El Capitan also has introduced editing extensions in Photos, which enables you to use the editing tools from the other applications. Safari in EI Capitan allows the users to pin tabs for frequently accessed websites to the tab bar, which is similar to the browsers like Google Chrome and Firefox. You can quickly identify and mute the tabs which play the audio without having to search for the individual tabs. 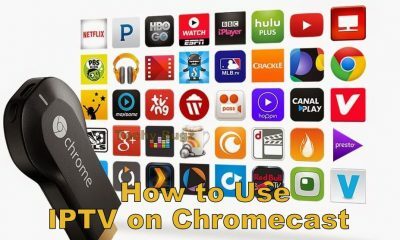 It also supports the AirPlay video streaming to the Apple TV without the need to broadcast the entire webpage. It also added the new security feature called System Integrity Protection (SIP), It also referred to as “rootless”, which protects certain system processes, files and folders from being changed or tampered with by other processes even when executed by the root user or by the user with the root privileges. System Integrity Protection is enabled by default but can be disabled. 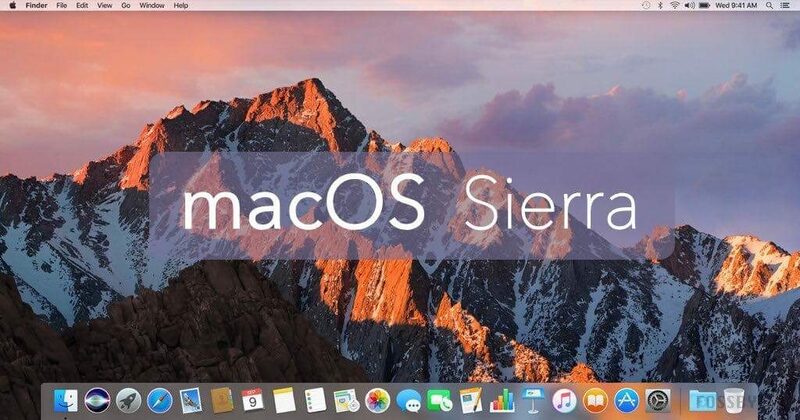 Mac OS X 10.12 Sierra is the Thirteenth major release of the Mac OS X. It was released on September 25, 2017. It is the refinement-based update similar to EL Capitan, and Mountain Lion. It is the successor to the OS X EI Capitan. Sierra has very few new features. But its new major features concerns Continuity, windowing, iCloud as well as the support for Apple Pay and Siri. The major new features of the Mac OS X 10.12 “Sierra” is given below. The user can access the Siri Intelligent assistant through the Dock, Keyboard Shortcut, the menu bar and the results are shown in the window in the upper-right corner. It can send messages, find files, search the web, and adjust settings. In Sierra, the iCloud Drive can upload the user’s documents and the desktop directories and sync them to other devices. The System Information application has a new section, which provides the users with a detailed information about the space usage per application or file and provides tools and suggestions for freeing up space. In this version, the application that supports multiple windows can support multiple tabs within the single window, which allows the user to keep the windows organized similarly to Safari. 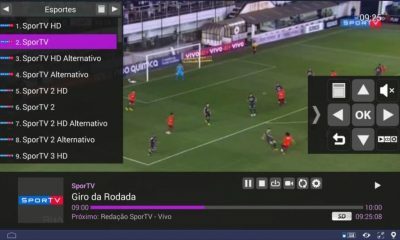 With Picture-in-Picture, the videos can be played in the window that follows the user across the system. Apple has released a preview of the new file system in Sierra, called Apple File System (APFS). This File system overcomes the limitations of HFS Plus. It is designed for the solid-state drives and flash memory and also adopts several features found in the modern file systems, including snapshots and cloning, as well as native support for features that Apple already provides in HFS Plus through supplementary software, such as file-system encryption and TRIM support. The file system was released in macOS High Sierra. Apple has added Night Shift feature in MacOS 10.12.4, with the same functionality as the iOS counterpart. It also reduces the blue light at the night to aid sleep. This can be scheduled in the System Preferences app and can be toggled on or off in the Notification Center or using Siri. Apple has the improved face recognition of the Photos application, adding the object and scene recognition. It also groups similar pictures together using the faces, locations and object recognition to create memories. The Memories contains pictures slideshows with the transitions and music selected by the algorithm. It can be modified to the user’s liking. Apple Pay allows the vendors to fix the Apple Pay button on their websites So that the users can click the Apple Pay button to check out, then complete the purchase using the iPhone or Apple Watch. It requires the Mac that supports Continuity and either an iPhone 6 or later with iOS 10, or an Apple Watch with watch OS 3. Apple Music within iTunes has been redesigned, making it simpler to find the favourite songs and to discover new ones. A new “For You” tab has been added, which suggests new music the user might like (similar to the existing Genius). 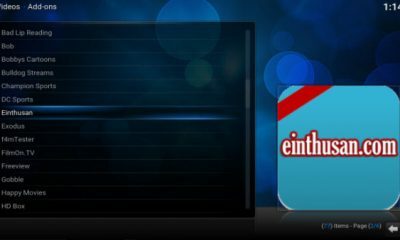 A refined MiniPlayer with the capability to view lyrics while listening has also been introduced. The Messages app adds the artistic effects to messages, which includes bigger emojis and click back with hearts or thumbs up on the message bubble. 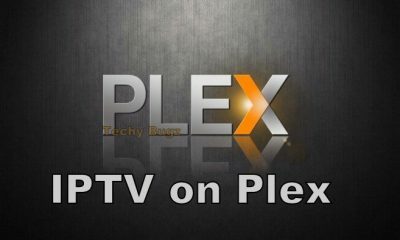 The ability to play YouTube videos and can preview the links in a conversation was also introduced. You can also turn off the read receipts on the conversation basis. Mac OS X 10.13 High Sierra is the Fourteenth major release of the Mac OS X. It was released on September 25, 2017. Like the Mountain Lion and EI Capitan, the High Sierra is also the refinement-based update, which has very few new features. It has the new Apple File System and includes the enhancements to Photos, Safari, and Mail, among other changes. The name “High Sierra” refers to the High Sierra region in California. 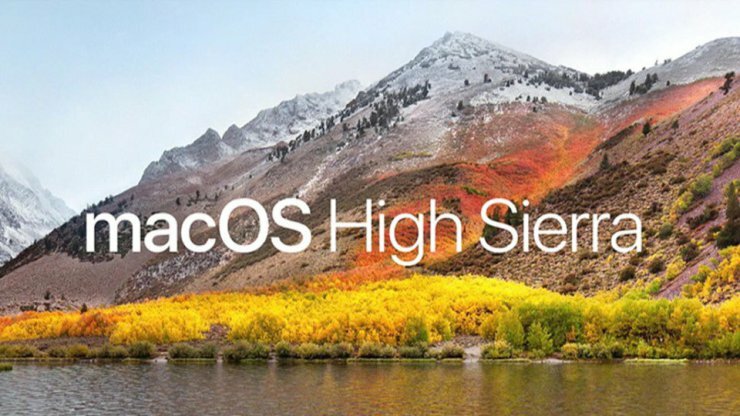 High Sierra is predominantly focused on the performance improvements and technical updates rather than the useful features. Amon the applications the notable changes in this version are in Photos and Safari. Hard Drive Space: 14.3 GB of available disk space. The major new features of the Mac OS X 10.13 “High Sierra” is given below. It has updated graphics API Metal 2, while the previous ones had low-level graphics API called Metal. It includes the Virtual REality and machine learning features. It also supports external GPUs. The system’s windowing system Quartz Compositor supports Metal 2. 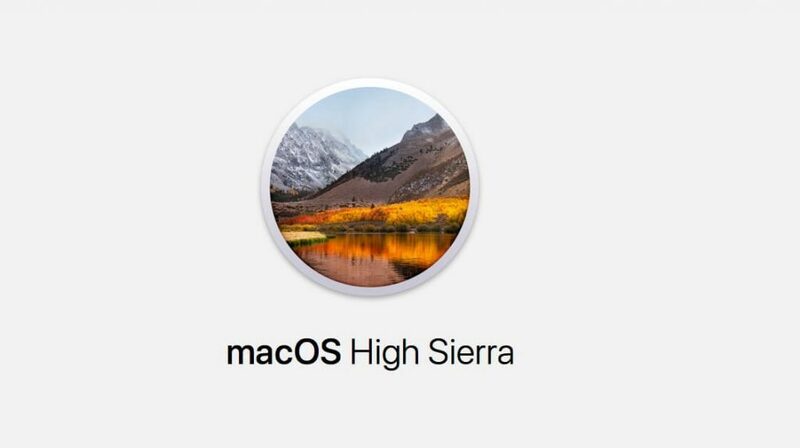 The High Sierra provides the support for High-Efficiency Video Coding (HEVC), with the hardware acceleration where available, as well as support for High-Efficiency Image File Format (HEIF). Macs with the Intel Kaby Lake processor offers the hardware support for Main 10 Profile 10-bit hardware decoding, those with the Intel Skylake processor support Main profile 8-bit hardware decoding. and those with the AMD Radeon 400 series graphics also supports the full HEVC decoding. In this version, the Apple File System (APFS) replaces the HFS Plus as the default file system in the Mac OS for the first time with the High Sierra. It supports the 64-bit inode numbers, which is designed for flash memory to speed up the common tasks such as duplicating a file and finding the size of the folder’s contents. It also has the built-in encryption, crash-safe protections, and a simplified data backup on the go. High Sierra has the improved Spotlight search in Mail. It uses 35% less storage space based on the optimizations, and Mail’s compose window can now be used in the split-screen mode. The Photos in the High Sierra is with an updated sidebar and the new editing tools. It also synchronizes tagged People with iOS 11. Safari in High Sierra has the new “Intelligent Tracking Prevention” feature which uses the machine learning to block the third parties from tracking the user’s actions. It also blocks the auto-playing videos from playing. You can also set the “Reader Mode” for always-on. Siri now has the more natural and expressive voice. It also uses machine learning to understand the user better. Siri synchronizes the information across iOS and Mac devices so the Siri experience is the same regardless of the product being used. The Low Battery notification and its icon were replaced by the flatter modern look. The FTP and the telnet command line programs were removed. High Sierra allows locking the screen using the shortcut CMD+Ctrl+Q. Locking the screen through the menu bar shortcut was activated in Keychain Access preferences has now been removed. The release of Mac OS 10.13.5 messages can now be stored in the cloud along with iOS 11.4, this allows the messages to sync across all devices using the same iCloud account when messages are deleted they are on the device as well, messages stored in the cloud do not take up the storage on the Macs anymore. 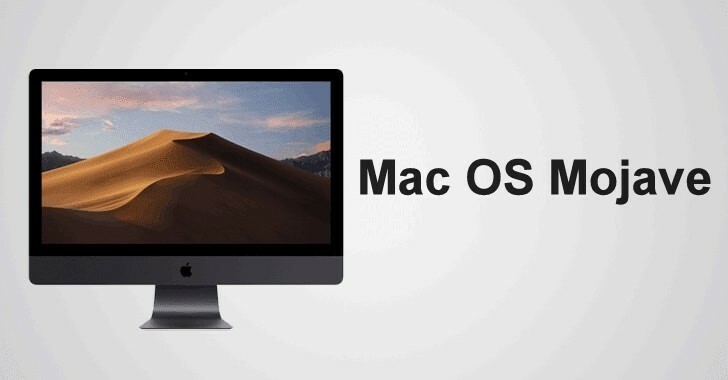 Mac OS X 10.14 Mojave is the Fifteenth major release of the Mac OS X. It was announced on June 4, 2018, at Apple’s WWDC event. It is scheduled to be released in the fall of 2018. Mojave is the successor of the Mac OS High Sierra. It brings several iOS apps to the desktop including Apple news, Home, and Voice Memos. It also has the comprehensive Dark Mode, and it is the final version of Mac OS to support 32-bit apps. As of June 2018, developer and public beta releases of the Mac OS Mojave are available. 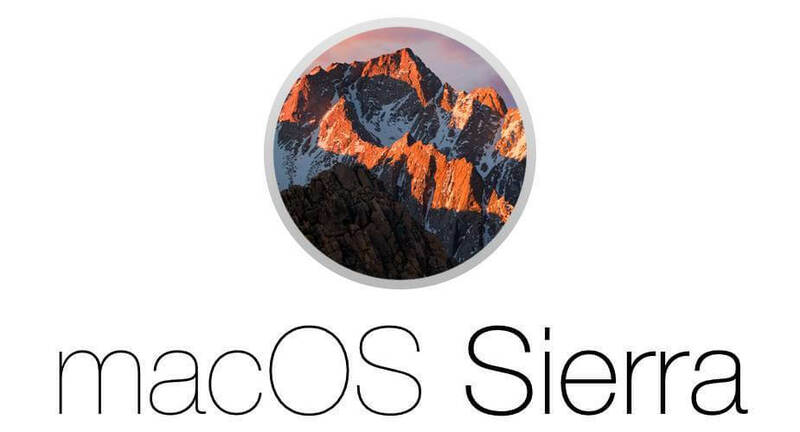 Mac OS Mojave drops support for many of the older Mac models, which is supported by the previous operating system “High Sierra”. macOS Mojave needs Mac models with Metal API support, which is generally a Mac from 2012 or newer. The major new features of the Mac OS X 10.14 “Mojave” is given below. In this version, the Mac OS updates are shown in the System Preferences instead of the Mac App Store. In the Mac OS X Snow Leopard 10.6.6, system and app updates were moved to the App Store from Software Update. Mojave has the new data protections which require apps to get the user permission before using the Mac camera and the microphone or accessing the personal data such as Mail history and Messages database. It also has the 32-bit app warnings. Like High Sierra, the Mojave also issues the warning ’32-bit apps will not be supported in future updates’ when the 32-bit app is opened for the first time. The Group FaceTime in this version lets the users chat with up to 32 people at the same time, using the video or audio from an iPhone, iPad or Mac, or audio from the Apple Watch, Participants can also join in the mid-conversation. Mojave supports Four new applications such as News, Voice Memos, Stocks, and Home, which are directly ported from iOS. The third-party app developers can port applications to Mac OS in 2019. Apple has added Dark Mode and Accent colours in this version, in which the users can switch their desktop to a darkened colour scheme, called Dark Mode. Putting the focus on the user content while the interface elements and controls fall into the background. Built-in apps such as Messages, Mail, Maps, Photos, and Calendar includes Dark Mode designs. The developers can implement the Dark mode their apps through the public API. The Mojave has the new Dynamic Desktop, which automatically changes the desktop picture to match the time of the day. The Mac App Store was rewritten from the ground up and features the new interface and the editorial content, similar to the iOS App Store. The Discover tab highlights the new and updated apps. Create, Work, Play and Develop tabs helps the users to find the apps for a specific project and purpose. Safari has enhanced its Tracking Prevention to block social media “Like” or “Share” buttons and comment widgets from the tracking users without permission. It now also has the simplified system information when the users browse the web, It prevents the users from being attacked based on their system configuration. The update automatically creates, auto-fills and stores strong passwords, when the users create new online accounts and flags, reused passwords so that the users can change them. With Home, Mac users can control their HomeKit-enabled accessories to do a thing like a turn lights off and on or adjust the thermostat settings. The Voice Memos enables the users to record personal lectures, notes, meetings, song ideas, interviews, and access them from iPhone, iPad or Mac.